"I'm not a criminal," says 23-year old Tyas softly, pulling an iceberg-blue t-shirt over his head, stripping bare to the waist. We're standing in a narrow passageway between two houses. Water from a tap drips slowly on the concrete. Tyas is an apprentice tattoo artist in Benhil, Jakarta. He has had 17 tattoos in the last three years and aims to ink his entire body - except his head. "People think if we are brave enough to carve large permanent tattoos on our bodies, we must be brave in other aspects of our lives too," Tyas scoffs. The Raja Tattoo and Piercing studio opened in Benhil in February. Raja means king. It's a one-room studio. On the low tables are empty Chivas Regal bottles and dirty ashtrays. There is no tattoo artwork on the walls. 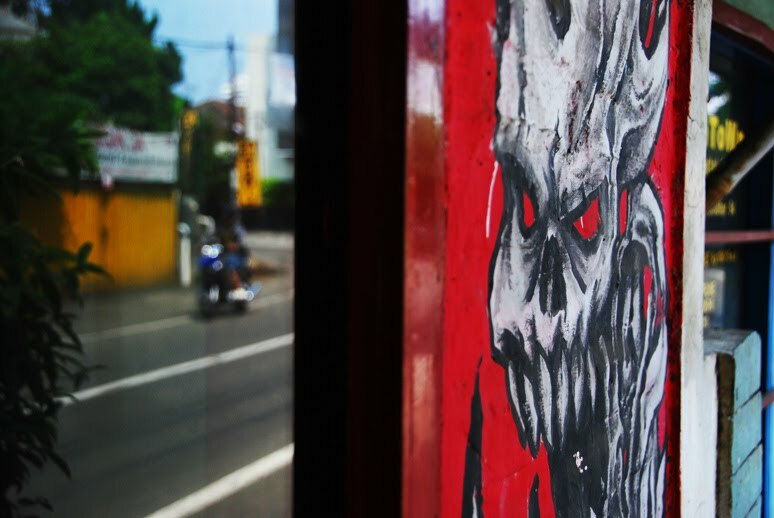 "We had a small problem at our previous premises," confides tattoo artist Ady, Tyas' mentor. "The landlord didn't like our line of work." "But people in Benhil are more open-minded," interjects Ady's middle-aged aunt, seated on a black settee in the studio. Prices for tattoos are listed between Rp 300,000 and Rp 800,000 ($30.00 - $80.00) each. Ady receives around two customers a month. "But we're busiest at the weekends," pipes the aunt. "People don't know we're here yet. We had customers everyday in our previous place." Ady has been drawing since he was five years old. He specialises in graffiti and receives commissions; the price for commissioned graffiti depends on size and design intricacy, and includes purchase of materials and transport. Among Ady's seven tattoos is a blackwork on his waist of his aunt's face. 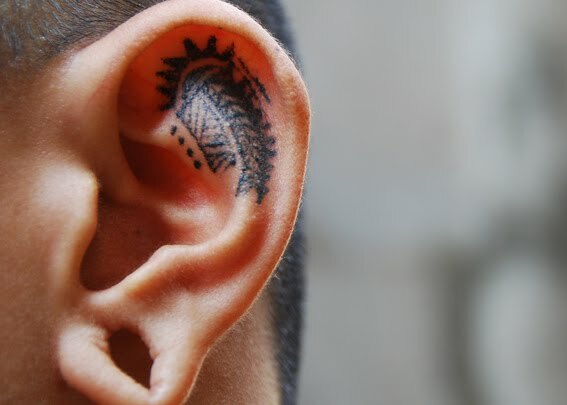 "Having a tattoo done feels like having your eyebrows plucked," comments the aunt. "Have you got a tattoo?" "Girls like tattoos," laughs Tyas. "They think we look like drummers in a band." "I'd like to give my girlfriend a tattoo some day," Tyas adds. "But I won't have her name inked onto my body. After all, we may not be together forever...". Clever title, and interesting story. This boy/man seems humble and gentle, and eager to prove that he isn't some kind of bad element. I think I'm going to commission them to graffiti the wall opposite my house... Any designs suggestions? 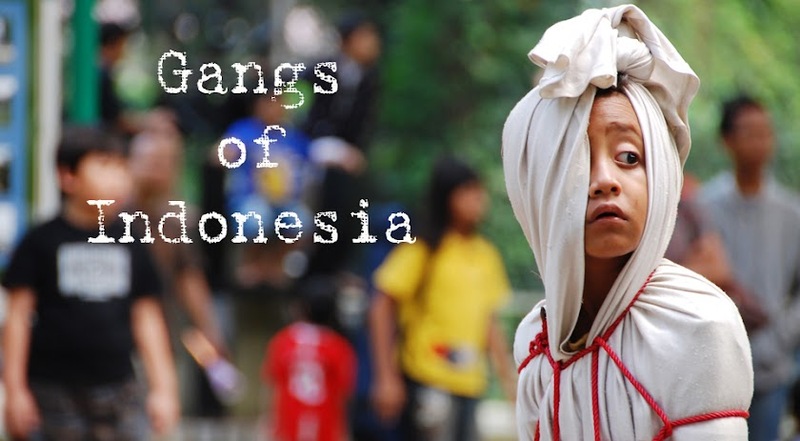 Just found your blog - amazing photos and great snippets of life in Indonesia. Hi there Anonymous! Which one?